Of the four chambers of your heart, the most significant is your left ventricle, which receives oxygenated blood from your lungs via your right ventricle and then diffuses it to the cells throughout your body. When you train consistently, your left ventricle actually increases in diameter, meaning a larger chamber to accommodate a greater volume of oxygen-rich blood. A concurrent adaptation is an increased total blood volume, with more red blood cells to transport oxygen. Cardiac tissue is a specialized type of muscle, called smooth muscle, that contracts involuntarily. Like other muscles, the strength of contraction of heart muscle depends on the size and strength of individual muscle fibers. When you make your heart pump harder through regular exercise, cardiac muscle fibers increase in size, leading to a denser, stronger ventricular wall. The stronger muscle tissue enables you heart to contract with greater force, ejecting a higher volume of blood per stroke. When your heart health is at an enhanced state from exercise, it runs more smoothly and conserves energy. 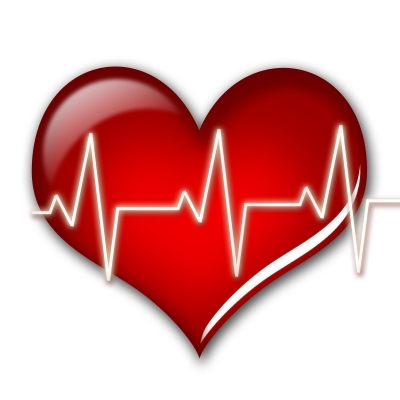 Your heart rate is lower at rest and at relative levels of exercise intensity. This is due to a combination of greater available blood volume and increased force of contraction. In other words, each time your heart beats, a greater volume of blood enters your circulatory system, and the heart needs to beat less frequently to meet your body’s oxygen demands. 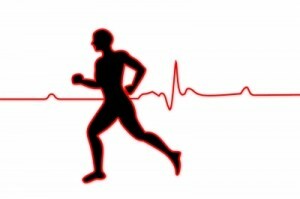 The combined product of stroke volume and beats per minute is called cardiac output. Regular exercise changes the cells in your skeletal muscles at the same time that your heart adapts. When both the skeletal muscle cells and the cardiac muscle cells are exposed to consistent overload, you are able to utilize more oxygen at higher intensities, measured as VO2 max, or maximal oxygen consumption. Individuals with a high VO2 max typically outperform those with a lesser training status. This may equate to being able to run, swim or bike farther, at a faster pace. Like many things in life, the benefits of exercise to heart health have their limits. Excessive cardiac training may lead to increased risk of arrhythmias like atrial fibrillation. It may also lead to scarring of your cardiac tissue, inhibiting optimal function. Moderation in intensity and duration of exercise may be the best option for training a healthy heart. At the heart of all change is education. The more you know and understand about your body and how lifestyle choices affect your health, the better equipped you will be to prevent and reverse the deadly precursors to heart disease. As a fitness professional, it is up to you to educate your clients and help them to make better choices. W.I.T.S. offers certification and continuing education courses that will fill the gaps in your understanding about heart disease. To get started, check out our courses in Nutritional Concepts, Exercise Program Design, Group Exercise Certification and Certified Personal Trainer. Cleveland Clinic: Can Too Much Extreme Exercise Damage Your Heart? mercola.com: Long-Distance Running: One of the Worst Forms of Exercise There Is.